An urban affairs writer says the knowledge-economy professionals we once counted on to save large North American cities have now helped usher in a new wave of inequality. Ten years ago, author Richard Florida coined the term "creative class" to refer to the young, talented and affluent people who he believed would revive North American cities and lead them to grow and prosper. 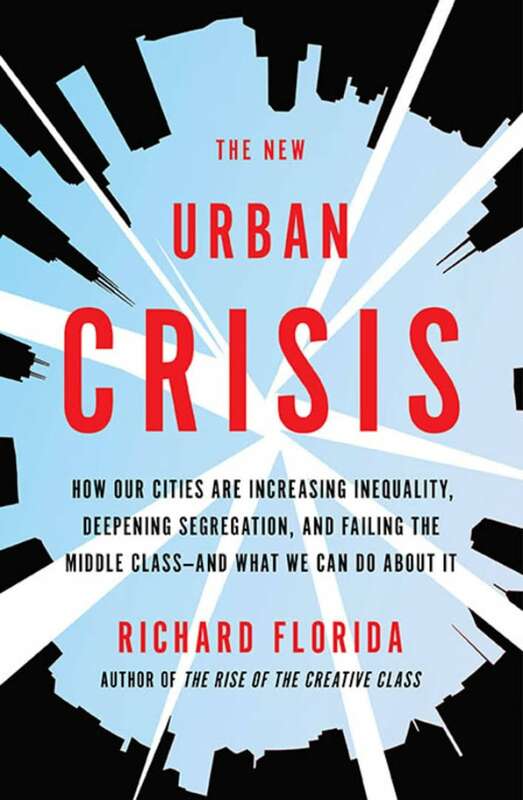 In his latest book, The New Urban Crisis: How Our Cities Are Increasing Inequality, Deepening Segregation, and Failing the Middle Class and What We Can Do About It, he argues those same people are actually creating greater divides within cities and ushering in a wave of inequality. Florida, who is the cities director of the Martin Prosperity Institute at the University of Toronto, spoke to Metro Morning host Matt Galloway Monday about what went wrong with the rise of the creative class and how we can solve it. Matt Galloway: You built your reputation on the idea that creative classes were the key to strong cities, that if you attract them, your cities will flourish. Why do you think now that you got it wrong? I don't think that I got it wrong. I actually think I under-predicted the extent of the knowledge-driven, highly clustered urban revival. In the book, I talk about moving to Toronto, working with former mayor David Miller and trying to build a more inclusive prosperity here and then seeing the backlash to this clustered urban knowledge wealth that resulted in the election in Toronto of Rob Ford. Research done by myself and colleagues showed me that the urban revival was happening but it was also carving these huge divides in our cities and our society. MG: I guess I say "got it wrong" because one of the things that come out in this book is the unintended consequences of what it was that you were promoting. People have referred to this new book as a book of penance. Were you surprised to see what happened after some of those cities adopted the policies that you were promoting? No one could have anticipated the extent of this urban revival. I still think that the depth of the divides and the depth of the backlash was so strong and so powerful that I felt I needed to address it and really shift the conversation from just generating growth and attracting knowledge workers to moving from what I call winner-take-all urbanism to urbanism for all and toward inclusive prosperity. It left a ton of people out. These middle-class neighbourhoods are being eviscerated. And it's a not city-suburb [divide] and that's what's so harrowing to me. It used to be rich people in the suburbs, poor people in the cities. Especially in the United States but also in Canada. Now it's tight clusters of affluent people in the cities, around transit hubs in the suburbs ... but large spans of disadvantage in urban areas and in suburbs alike. And that's why I think our new reality is no longer city-suburban class divide, but this very distressing patchwork metropolis, which is something we all have to grapple with. MG: How does real estate amplify that? We're in the midst of an affordability crisis when it comes to life in this city. Our housing prices, which are astronomical ... are a big signal of the problem. In my book I call [Toronto] a superstar city and we have both the good and the bad that goes along with that. MG: What can we try and do to stitch the city back together? We need to invest in creativity and innovation and technology for all. That's what's going to grow this city and create wealth. The problem isn't that, it's the distribution of that. So we have to build more and we are, but it's not enough. We have to focus on affordable housing and affordable rental housing. We need to invest in transit. The 66 per cent of the blue-collar service workers that are falling behind, they need higher wages ... and we also need a basic income. We're in a much better position to do this here [as opposed to the United States]. I think we could actually be the place that makes the move to inclusive prosperity ... in which every citizen could participate.